By Orla Grehan | November 22, 2011. 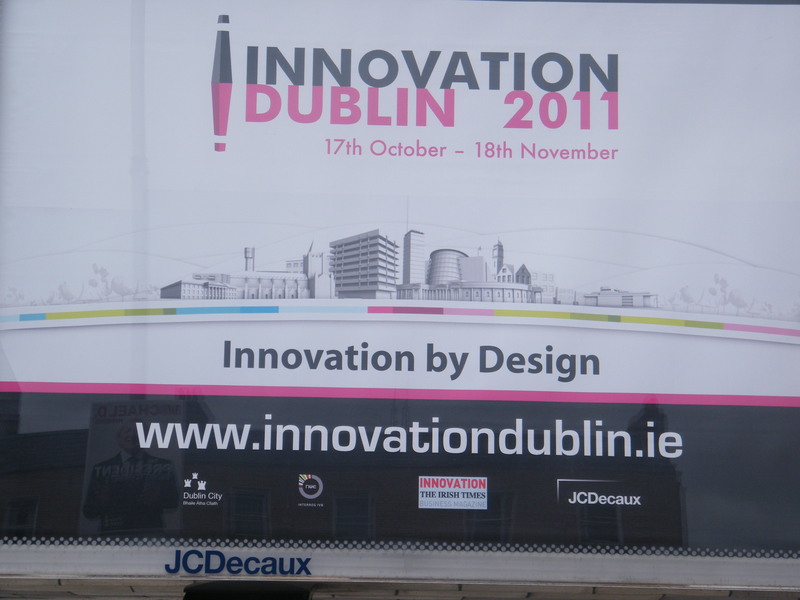 The originality and diversity of local initiatives come under the spotlight with the arrival of the Innovation Dublin Festival 2011. Now in its third year, the festival showcases Dublin’s creative potential through a month-long series of performances, exhibitions, debates and other unique events taking place across the city. This year’s programme kicked off on 17 October, with highlights including the “Unused And Unloved” exhibition being staged in a previously deserted space at Fumbally Court, just off Cork Street. Curated by arts group Prettyvacant Dublin, photographs, paintings, drawings and sound installations from eight artists – all dealing with the theme of neglect – are on display at the show, which runs until 11 November. Director of Prettyvacant, Louise Marlborough, believes that the empty Fumbally Court property is a wasted opportunity, typical of many others across town which have been abandoned during the recession. “The exhibition is about bringing life to these buildings as well as giving the artists an outlet for their work, and it’s about thinking of the possibilities for the future. Fumbally is a large-scale space; we want people to look at it in a different way and draw attention to its potential”. Meanwhile, first class pupils of St. Audeons and St. Brigids National Schools are preparing to take centre-stage at the “It’s My Business” showcase event at Wood Quay on 14 November. Lord Mayor of Dublin, Andrew Montague, will be guest of honour as the two classes present a product and company they have specially designed and marketed for the event. Damien Henehan of Junior Achievement Ireland is working with the classes, along with students in two north inner-city schools, to develop their new businesses. Organised by the Creative Dublin Alliance in conjunction with Dublin City Council, this year’s Innovation Dublin is the biggest yet, with hundreds of other events to look forward to as well. 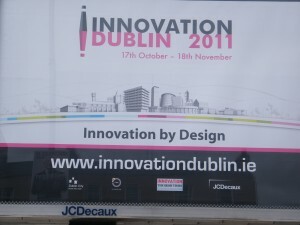 More information on the Innovation Dublin programme can be found at www.innovationdublin.ie.